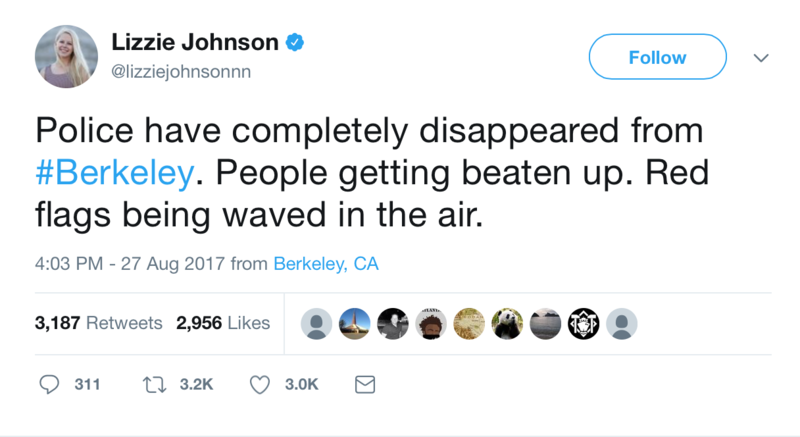 A mob of self-proclaimed “anti-hate protesters” were filmed violently attacking peaceful anti-Marxist, pro-Trump rally-goers at Berkeley with fists, sticks and urine. Right-wingers had organized a “No To Marxism in America” rally at the Martin Luther King Civic Center Park for Sunday. 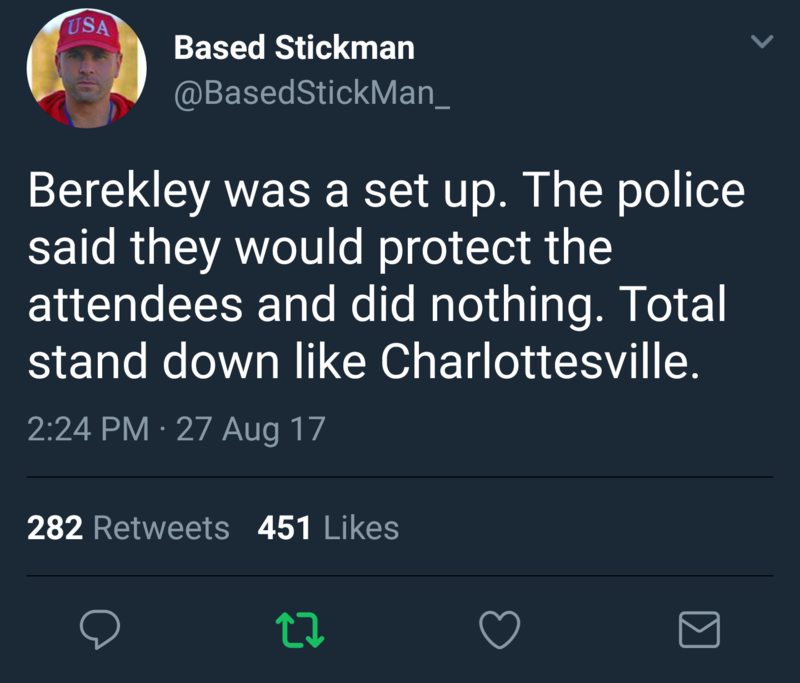 Giant hordes of violent antifa showed up and proceeded to beat Trump supporters and anti-Marxists of all backgrounds while police stood down. Google’s YouTube shamefully took video down of one unarmed man being violently assaulted by the antifa mob and having urine thrown on him. In case you were wondering, there are hundreds of videos of the extremely graphic Charlottesville crash all over YouTube and none of them were taken down. Remember, these are the people Marco Rubio said are committing “justified” violence. These are the alt-left terrorists Paul Ryan and the pathetic Republican establishment stood together with and refused to condemn. These are the people who’ve been attacking Trump and his supporters and other right-wingers for decades while the media lies for them and our sold out government runs cover for them as they crush our free speech. Note, not one website will be taken offline as a result of this riot. Not one leftist will have their PayPal suspended. Not one will be banned from OkCupid, nor Airbnb, nor Uber. Nothing will be made of these violent assaults in the media as nothing was made of the dozen of other violent riots leftists have carried out since Trump announced his candidacy.